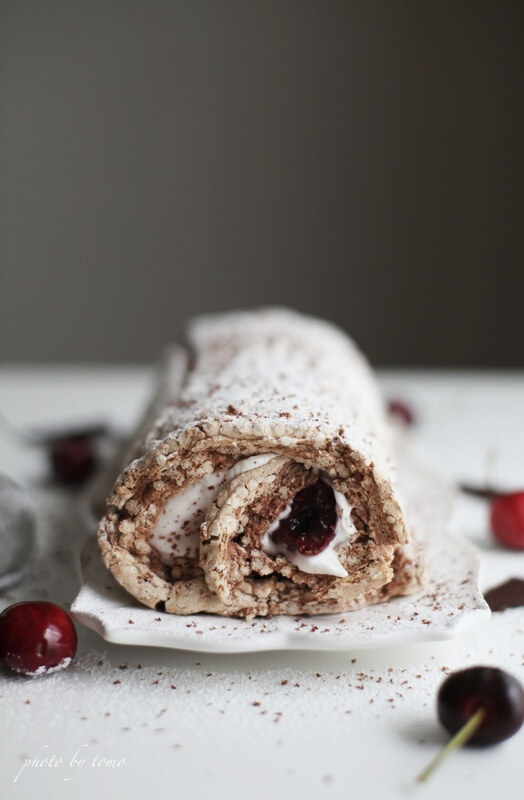 Meringue Roulade is one of my favorite British dessert! 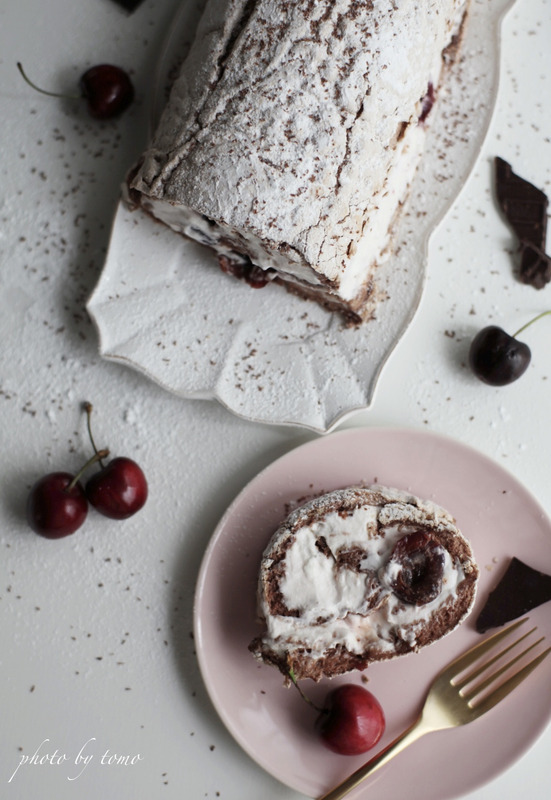 HOW CAN I ROLL WITH MERINGUE?? And after a few years, I started to work at Three Ways Hotel in England as a pastry chef. I was so excited to learn!! it is dead easy to make and how yummy it is!! 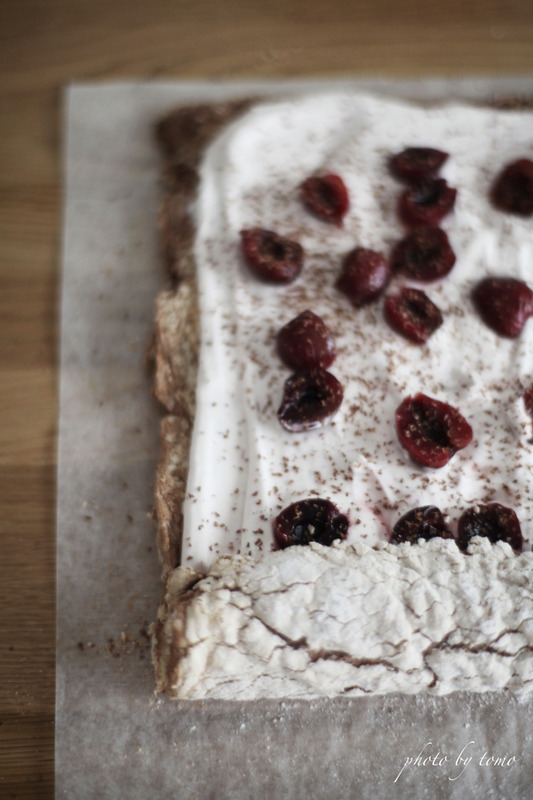 You can use whatever fruits in season but it should be tart! 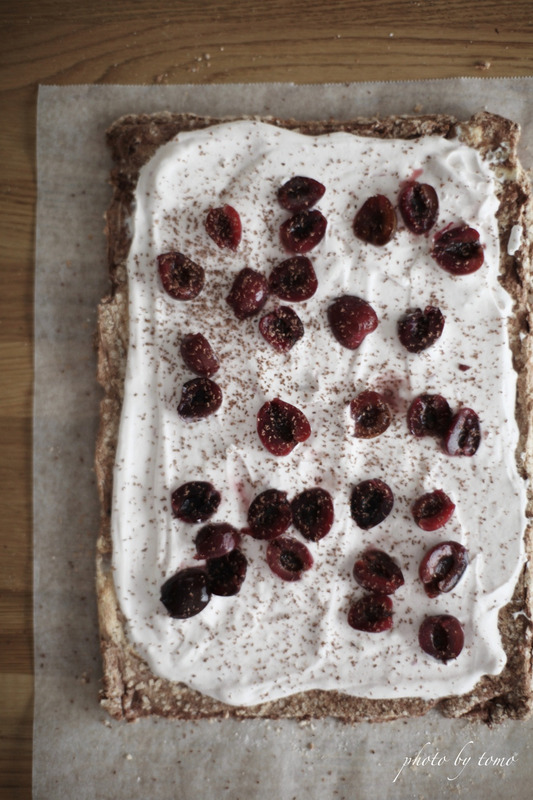 Cherry is not tart really so I made it with chocolate meringue. It worked so well, it should be! It is like black forest, daaaaah!! 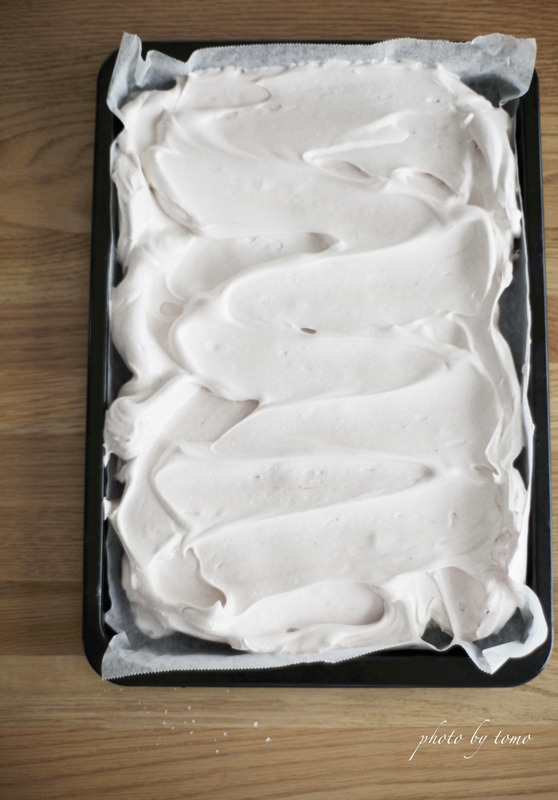 Meringue should be like this!! 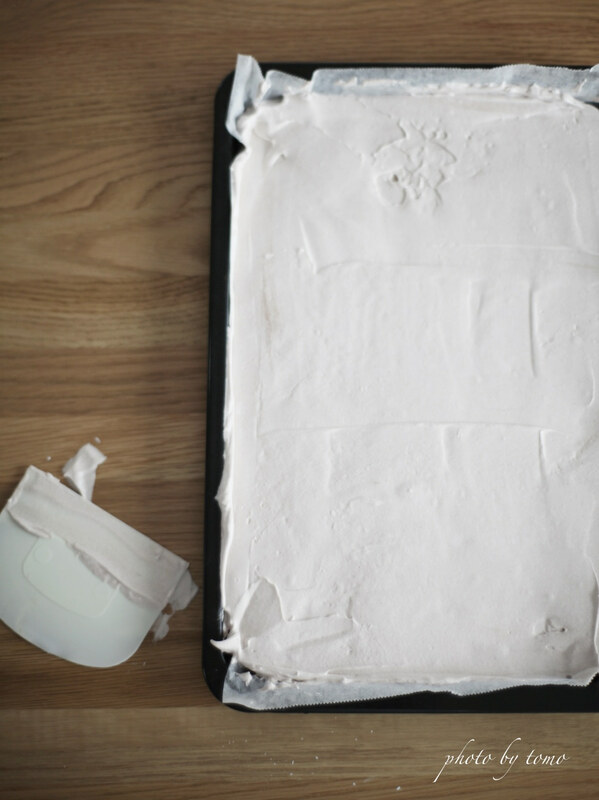 Put it on the baking pan with the paper. Put it in the oven and bake for about 25 minutes. 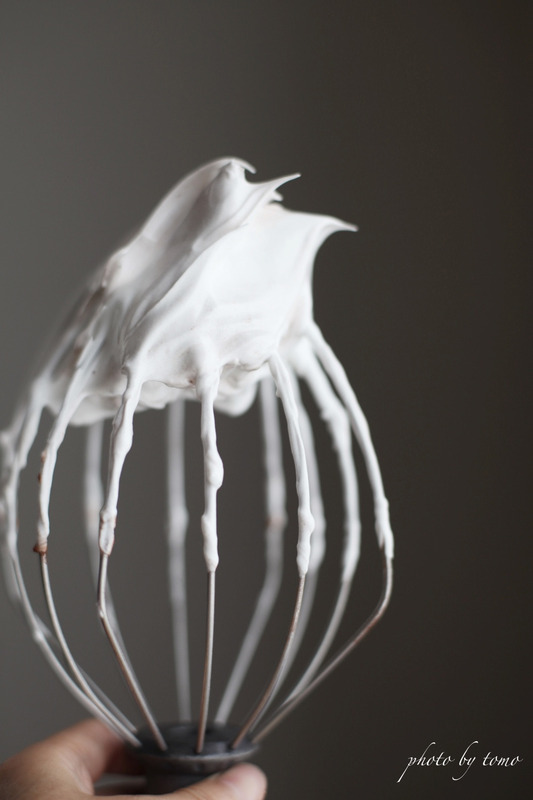 and place the meringue upside down and remove the paper slowly. and drizzle chocolate over if you like. I put powdered sugar and chocolate on top. 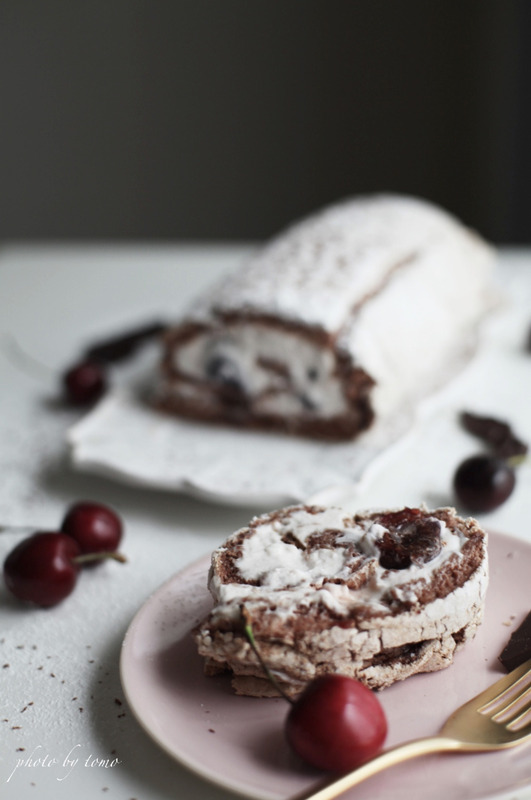 THIS IS THE BEST MERINGUE ROULADE I HAVE EVER MADE! !